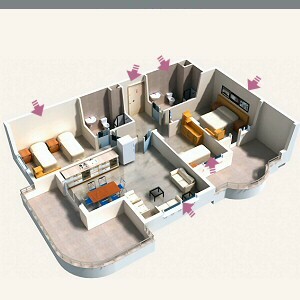 Take a virtual tour by clicking on a room in the 3D apartment plan or clicking on the thumbnails above. This virtual tour has been taken of our show apartment which is located in Block B on the fifth floor. This is a Type 2 apartment and has a total floor space of 115 square meters.